WANT TO THROW THE BEST, MOST ACTIVE BIRTHDAY PARTY? Our Birthday Parties are 2 hours long and include up to 1hour and 15 minutes of activity time with our instructors and 45 minutes of “party time” for our guests turning 3 and up. 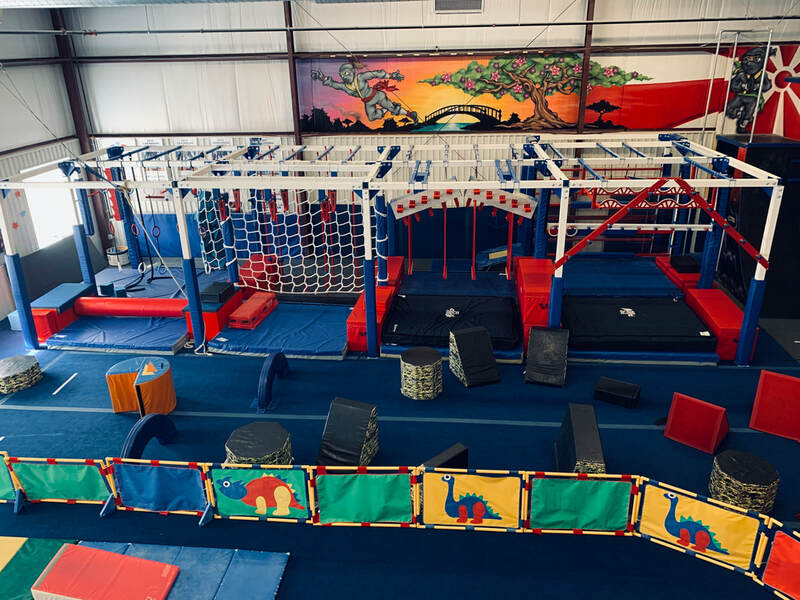 You will receive supervised and instructed activities, including trampoline, obstacle courses, parachute games, music, loose foam pits, a free t-shirt & medal for the birthday boy or girl, paper products, dozen balloons, and party bags for each guest. The last portion of the party will be spent in our special birthday party room for cake and gifts. Parties are geared to the age of the birthday child, so please remember that too large of an age span is difficult for a successful party. ​Also included in our party is our American Ninja Warrior inspired obstacle course. It's the perfect physical challenge for birthday guests ages 5 & up . Real obstacles like rope swings, cargo net, rings and multiple WARPED WALLS. Reservations may be booked by phone 302-368-7107, online or in person, well in advance. Balance due is at the time of the reservation. Birthday Party: $300 for Members/$310.00 for non-members for up to 10 children (includes birthday child). $15.00 for each additional child over 10 children. Food and drinks are your responsibility. We'll take care of cleaning up the mess! 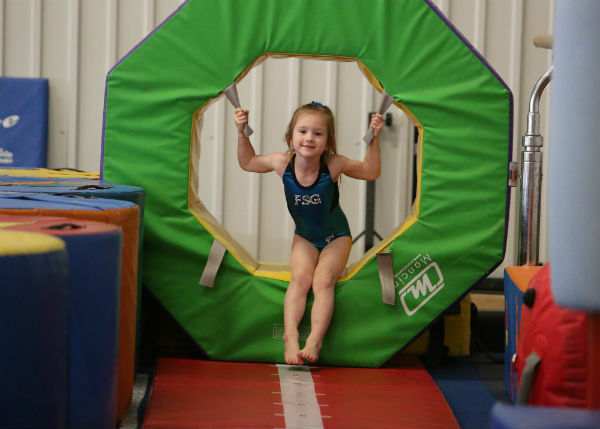 Parents OF YOUNGER children may supervise and help their kids but are not permitted to go on the equipment (NO TRAMPOLINE, BARS, BEAM OR ANY GYMNASTICS ACTIVITY PLEASE). Thank you for your understanding and cooperation. Please note that your party may not be the only activity in our gym at the time! Comfortable clothes (leotard, shorts, sweats, T-shirt). Long hair tied back – NO Jewelry, NO GUM. “We just came home from my daughter's birthday party at your gym, and I just had to send you a note of thanks! All of our guests had a wonderful time at the party, and all of the staff at the gym went out of their way to make the party fun and successful. We could not have asked for a better place for her party! Give your children a super fun experience on a Saturday night while you go out and have a fun time of your own! Parents night out is available once or twice Monthly from 6:30pm - 9:00pm. 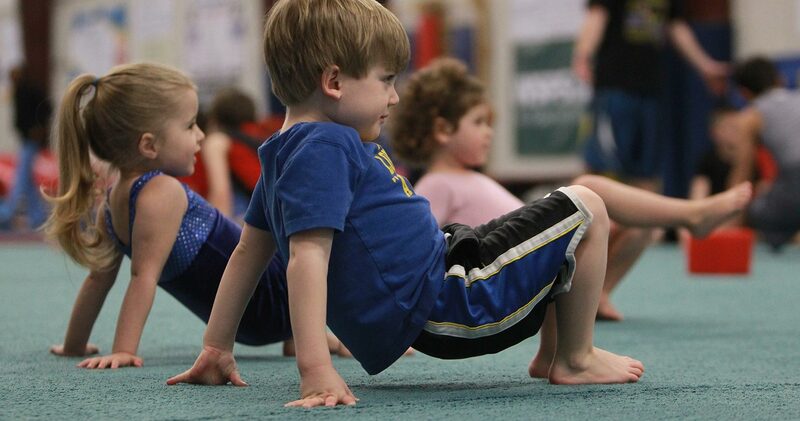 Cost: $25 per child (current members), $30 for non-members.